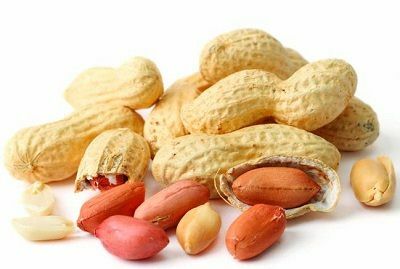 The peanut, or groundnut (Arachis hypogaea), is a species in the legume or “bean” family (Fabaceae). Contrary to popular opinion, peanuts are not nuts; they’re legumes. Peanuts can be found in peanut brittle, peanut butter and candy bars and is often a major ingredient in mixed nuts. At one time, the health benefits of peanuts were called into question since they’re high in fat and calories. However, over the past few years, more scientific research has shown that peanuts are rich in energy and contain health benefiting nutrients, minerals, antioxidants and vitamins that are essential for optimum health. Here are some of the most well known health benefits of peanuts. It may come as a surprise that consumption of peanuts or peanut butter reduces the risk of gallstones in women. According to a study conducted over 20 years, just an ounce of peanuts or two tablespoons of peanut butter each week can save you from gall stones or gallbladder diseases with 25% reduced risk. Peanuts are an excellent source of resveratrol, a polyphenolic antioxidant. Resveratrol is associated with reduced risk of cardiovascular disease and cancer. Moreover, peanuts are rich in monosaturated fats and oleic acid which makes it good for your heart. Reach for a handful of peanuts at least four times a week to reduce your risk of cardiovascular and coronary heart disease. Some depression is caused due to a lack of serotonin secretion in the brain. Peanuts are good sources of tryptophan, an essential amino acid which is important for the production of serotonin and thus helps you fight depression. Peanuts improve satiety and help maintain weight loss. Peanuts are rich in fibre which means that eating peanuts before your meal can leave you feeling fuller and make you eat lesser. Not only this, peanuts are a rich source of vitamins, minerals and antioxidants which makes you feel energetic! So if you are eating peanut butter every morning with bread slices, then you have less chances of gaining weight. Pregnant women are often confused about what they should eat. Peanuts contain a good amount of folate, a substance that lowers the risk of baby being born with serious neural tube defects reduced by up to 70%. Chances of miscarriages also decrease greatly. So a woman should especially eat peanuts if she wants to get pregnant and even during her pregnancy as well. Peanuts have high concentration of a form of phytosterol called beta-sitosterol which inhibits tumor growth, thus preventing you from having a deadly disease like cancer. Beta-sitosterol has a recognized role in preventing colon, prostate and breast cancer. Eating at least 2 spoons of peanut butter twice a week can reduce the risk of colon cancer in women by upto 58% and in men by upto 27%. Cholesterol is a waxy substance that occurs naturally in all parts of the body and that your body needs to function normally. However, if you have too much cholesterol in your bloodstream, it can lead to atherosclerosis. Peanuts can be beneficial to cholesterol for a variety of reasons. Firstly, they contain no cholesterol. Secondly, they contain lots of mono- and poly-unsaturated fat. That helps to lower LDL or “bad cholesterol” and increases HDL or “good cholesterol” level in the blood.